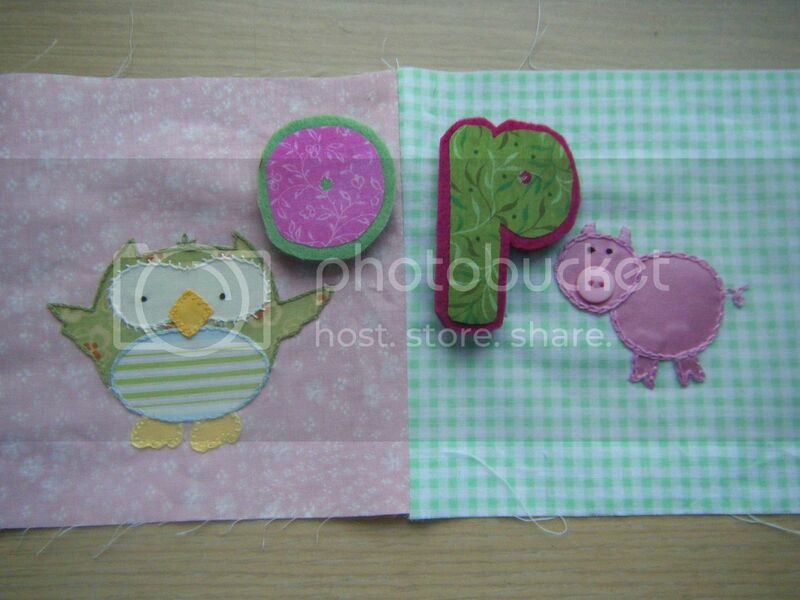 I have finally finished all the applique on the alphabet chart squares! I'm not going to make you guess as I know it's a hard game! This is V for vase. Hopefully it will be more obvious which is which when it's all stitched together in alphabetical order! My original plan was to embroider daisies, but I decided the buttons were more in keeping with the rest of the chart. 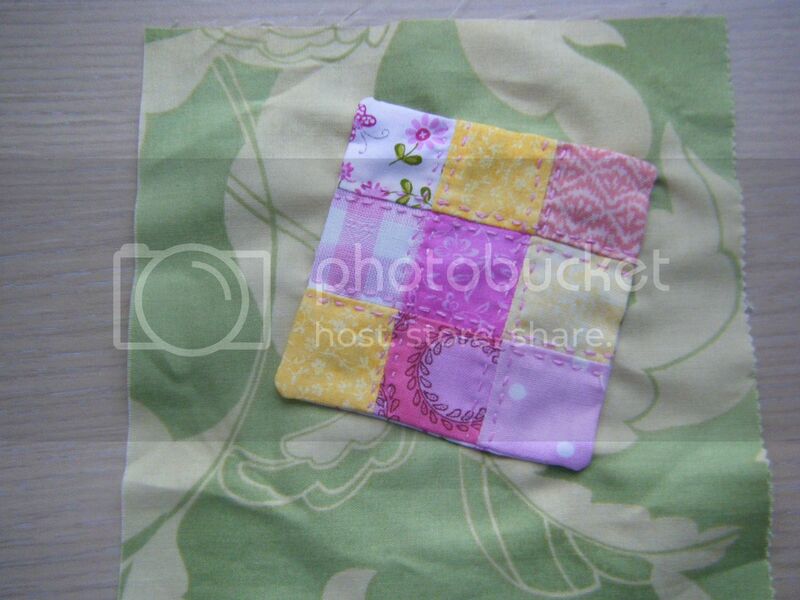 This is Q, that's meant to be a quilt. I started off doing a Queen but her face was ridiculous. I threw her away and then realised I couldn't find the rest of the 6" squares I'd been using for this chart so the style of the backing fabric is a bit different for this one. 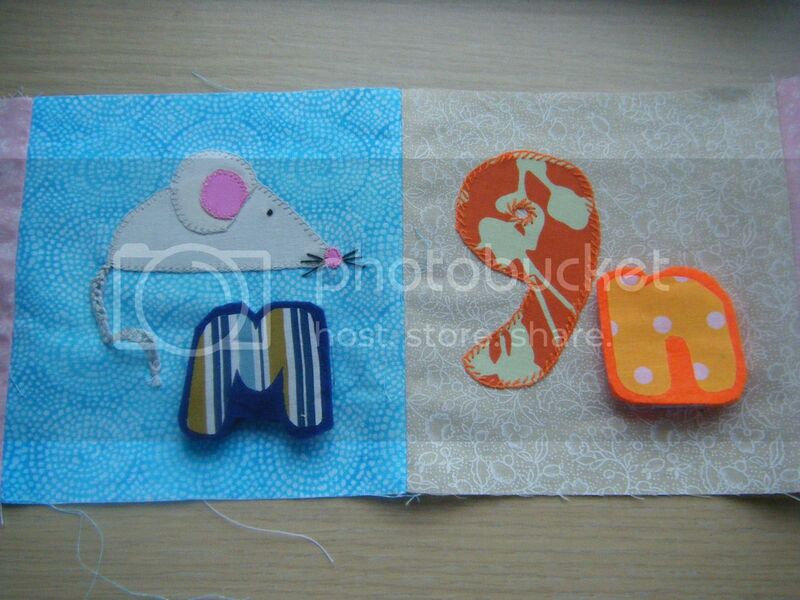 More letters were made... see, that one that someone thought was an orange blob is actually the number 9! Not hard to work out what they all are, Wendy. Looking good. These are fab, what a brilliant gift! 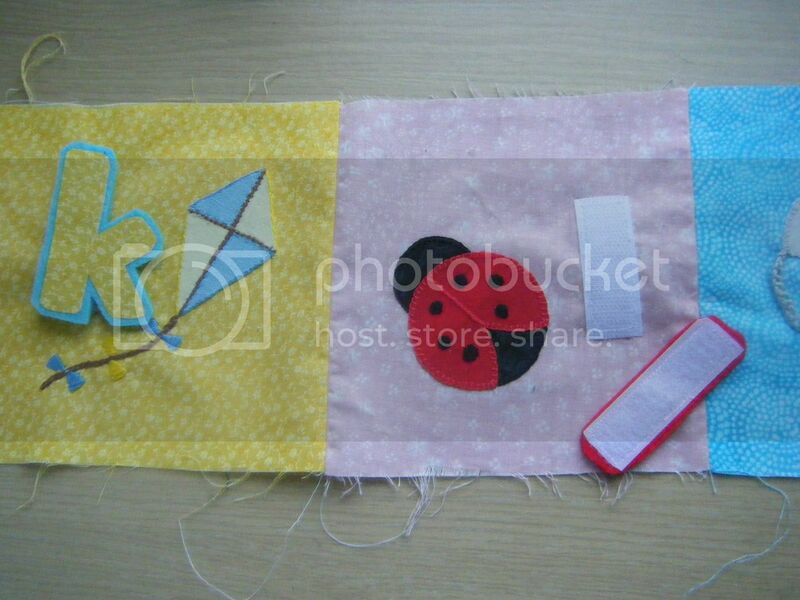 This quilt is going to be so much fun, I would have loved something like this when the boys were little. 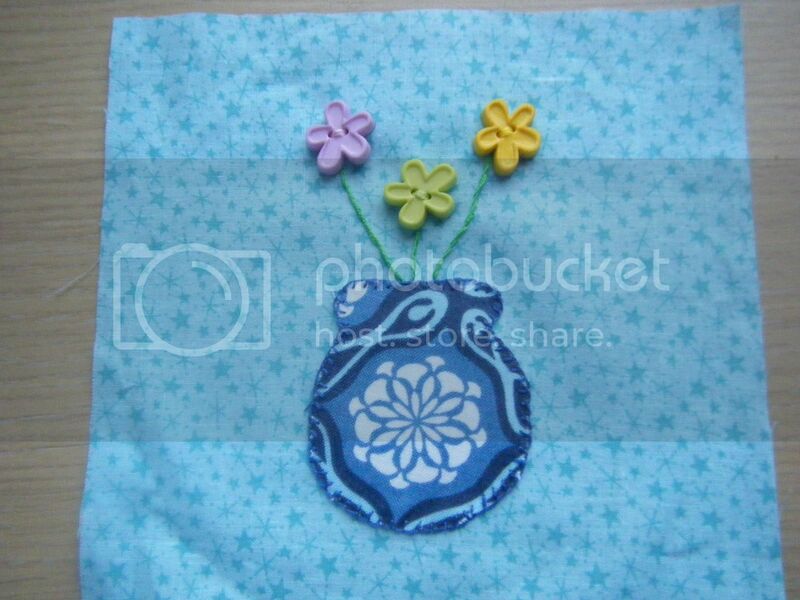 Great idea to go with the buttons for the flowers the alphabet blocks are looking good. Can't wait to see them all together. This is looking really good, nearly there now! They're wonderful Wendy, I love the quilt one best!!! Love the owl and the ladybird. It's going be gorgeous when it's all put together.